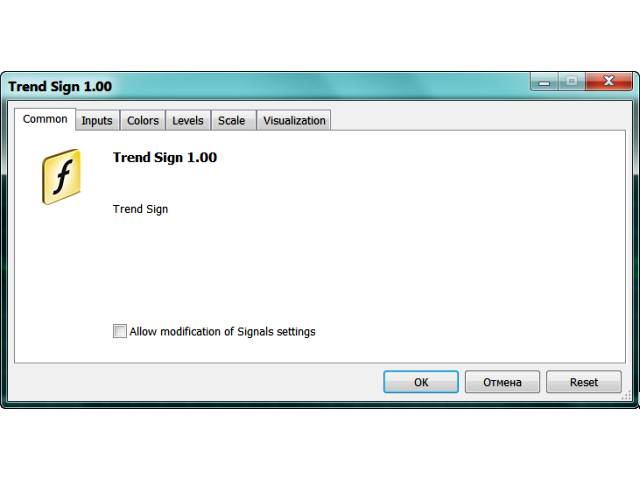 The Trend Sign indicator is a modification of the MACD indicator (Moving Average Convergence Divergence), which allows determining the direction and strength of the trend, as well as a trend change. The indicator is based on two moving averages - fast and slow, and it can work on any timeframe. 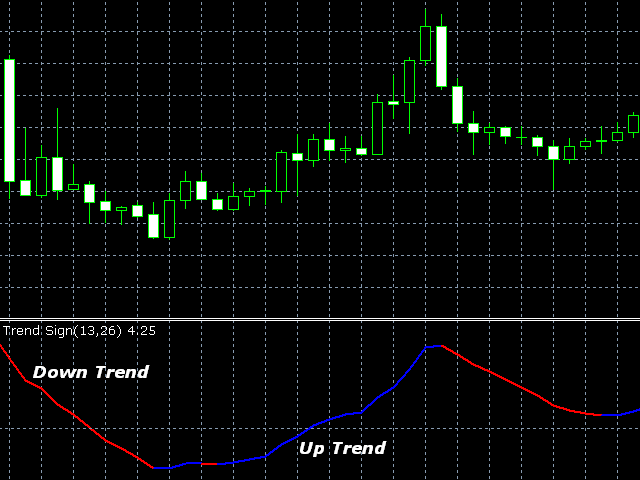 Uptrends are shown by blue color of the indicator line, downtrends by the red color. Close a short position and open a long one if the line color changes from red to blue. 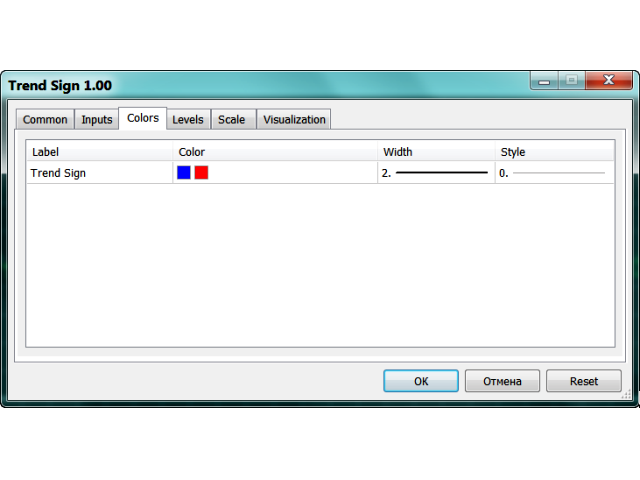 Close a long position and open a short one if the line color changes from blue to red. Use a small stop loss, as the line itself may suddenly change its color and direction. 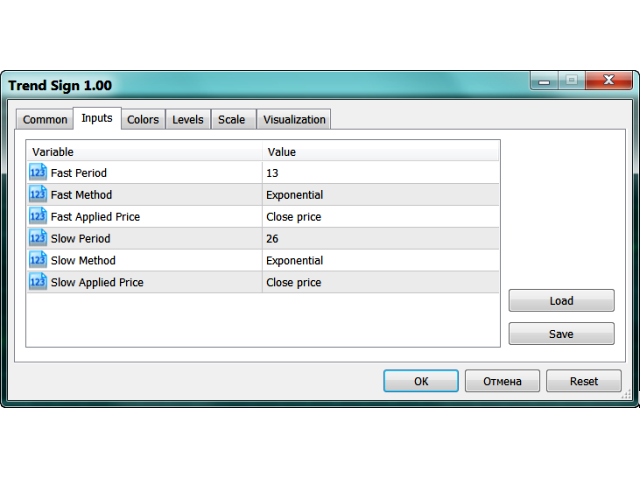 price used calculations (Close, Open, High, Low, Median, Typical, Weighted).